Gymnastics for All is the foundation for all gymnastic disciplines, physical movement and sporting activities. 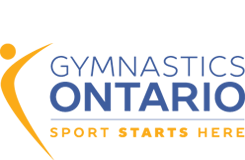 Gymnastics for All offers a world of movement opportunities for participants throughout life and contributes to the health, fitness and well-being of all people without discrimination of any kind. The World Gymnaestrada is a world-wide, non-competitive FIG Gymnastics for All event held every four years. The first WG in 1953 had only 5,000 participants and has now grown to be the largest FIG event worldwide, attracting approximately 20,000 active participants! The World Gymnaestrada lasts seven days including the Opening and Closing Ceremonies. The World Gym for Life Challenge is an FIG international contest for gymnastics groups, held every four years, on the second year following a World Gymnaestrada. Created to provide a second FIG event for Gym for All groups, the first World Gym for Life Challenge was held in 2009. The contest provides an opportunity for Gym for All groups to have their performance evaluated.